As new parents, we look forward to the first kick in the womb. We plan for the first night home from the hospital. We cry when we hear the first giggle. And while we may cheer on the arrival of the first tooth (amidst possible fussing), often we forget to even consider the first dental appointment. Maybe you feel a little behind on pediatric dental check-ups and need to get an appointment scheduled. Or maybe you’re simply ahead of the game and looking for the best comprehensive pediatric dentistry Carlisle offers. Whatever the case, Kangaroo Smiles is here for all of your child’s dental needs. 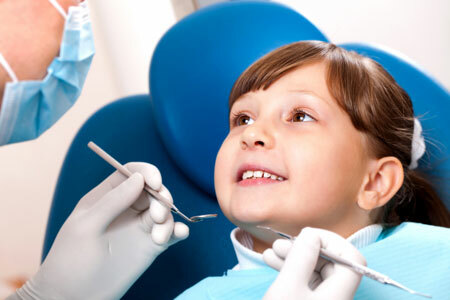 What can you expect from comprehensive pediatric dentistry near Carlisle? At Kangaroo Smiles, you and your child will feel right at home in the perfectly designed kid-environment. Relax in the neutral, calming tones while enjoying the pops of color that draw your child in. Enjoy the friendly staff, all eager to help you and your child have a positive dental experience. Take a breath and drink some coffee on us while your child is busy enjoying the kid centered activities available in the waiting room. Dr. Mona Beylin chooses to always stay current with the dental equipment and technology available in her practice. At Kangaroo Smiles, we make sure that our technology is top-of-the-line. We use digital x-rays with a lower dose of radiation exposure, so that your child is staying safe. We also provide photographs through our intraoral camera for diagnosing issues and educating you and your child on proper oral care. We are passionate to see children grow healthy and happy smiles through proper dental care. At Kangaroo Smiles, we don’t just treat the symptoms or fix problems as they arise. Our goal is to eradicate the issues even before they become one. Dr. Mona is vigilant about addressing problems before they arise or just as she sees them beginning. She will thoroughly discuss your child’s routines involving brushing, eating, sleeping, etc. With her assessment, you will know exactly what your child needs for his or her continued oral health. Of course, Kangaroo Smiles knows that sometimes issues are unavoidable. That’s why we offer comprehensive pediatric dentistry services for any thing you may encounter. From dental fillings, to tooth extractions, to teeth whitening for children, we handle it all! If you’re looking for comprehensive pediatric dentistry Carlisle parents love, look no further than Kangaroo Smiles! Call us today at 978-425-1496 to set up your initial appointment. Or find out more about our dentistry difference here.